Hi Everyone, Sid Grosvenor here with a new post for you. Please take some time to review prior posts on www.ChapalaClub.com ! 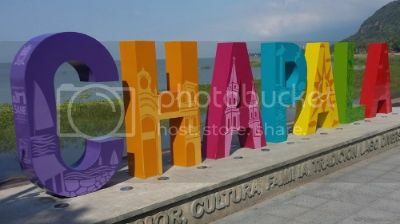 My life here at Lake Chapala, Mexico after more than 15 years in the area has been like living a wonderful dream. My cost of living is still very very low. The climate is still one of the best year around in the world. Yes, we’re a bit off the beaten path but not to far, I can still be in my hometown of Dallas in 3 hours from our International Airport (GDL) Guadalajara, International, and our weather here is almost like perpetual spring with just enough change so we’re not bored. This is our busiest time of the year, but I recommend coming at other times when we’re not as busy, the hotels and Bed and Breakfast places are not crowded and I’m more likely to be able to personally meet with you, answer your questions and schedule an informative fun tour of the North Shore. And remember the weather is great year around so come when you can. My lovely Bilingual wife, Arcelia, can help you with tours of Guadalajara and it’s popular “people’s market” and the close by Shopper’s Paradise of Tonala. Tonala is very popular for it’s beautiful buildings and unique gift shops and great restaurants as well. I never get tired of going there. It’s that great! “How to Live a Caviar Lifestyle on a Tuna Fish Pension”. It continues to get great reviews on www.Amazon.com from it’s readers beating out other books about Lake Chapala. It has QR codes scattered throughout the book to take you to even more great information via your smart phone. This email is for Sid: I just discovered a common kinship through his book ad on Amazon (…Caviar & Tuna Fish), I too am a retired LEO from Florida. We rented a casita in Ajijic for June-August 2018. First time visitors to the area, scoping it out for future respite from FL heat. Driving down for arrival on June 5th. Any advice for a sister cop making an exploratory run to Ajijic with 2 cats and a husband? Kindly reply to corigarrett@comcast.net.